One of the most remarkable benefits available to Indian defense force personnel and their families is access to universal healthcare via Military hospital system. Growing up as an Air Force officer’s son, I had on occasion visited the local clinics “MI rooms” and Military Hospitals (MH). The service personnel gamely accepted the few standardized services and preventative medication provided as a part of the system. Running jokes included the use of paracetamol for all ailments, and my earliest memory is the distinct odor of tincture of iodine that would permeate most of the clinics and MH’s. After entering adulthood, I was no longer eligible for the family medical benefits. The MH system faded from memory as I migrated to live in Europe, Canada and the US. During the couple of decades since, I had an opportunity to visit and observe service provided by hospitals and clinics in the US, UK, Switzerland and Canada; sometimes for self, for my (then) pregnant wife and periodically after our son was born. I began to appreciate the clinical efficiency (pun intended) with which the hospitals and clinics operated. There again, the “clinical efficiency,” with a focus on operational excellence and lowering costs comes with a rather impersonal service. Most doctors don’t spend more than 10-15 minutes with patients. It isn’t because they don’t want to but because the “process of diagnosis” is designed to maximize their valuable skills and time. Most of the screening and pre-diagnosis is done by nursing assistants and nurses before one gets to meet the doctor. The western medical system is expensive, and assumes one has good insurance coverage paid by an employer or self, and one has the means to cover the co-pay balance. During the time I had moved west, the medical system in India had begun marching ahead. The military Hospital system I had experienced in my childhood had also transformed. As an NRI who has seen the best of global primary medical care, I am not easily impressed. 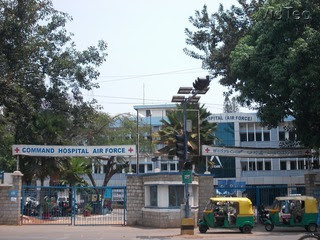 However, after spending a few days visiting my dad, who was admitted to the Command Hospital in Bangalore, I came away with a renewed appreciation for the men and women in uniform, serving fellow servicemen and retired veterans. In his late seventies, my dad is encountering old age and the myriad health afflictions which follow. He has been undergoing treatment for prostate cancer, and during his regular check-up, the medical oncologist noticed some “slowness” in his movements and referred him to a neurologist. The Neurologist, Group Captain G (name omitted) whom we met for the checkup showed an inordinate patience in examining and trying to understand Dad’s history, and recommended an MRI. Later, I googled Dr. G’s profile and came away suitably impressed by his education and training – MD, MRCP, FRCS etc – and his experience in the field and consulting with top medical institutions. In the span of over four days my dad was admitted at the hospital for checkups and examination and diagnosis. I had an opportunity to walk around the sprawling campus. Located adjacent to the busy old Airport road, the leafy campus drowns out the din of the city traffic and noise. 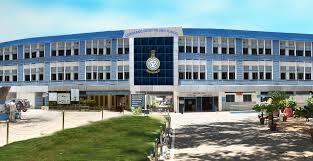 Most buildings retain an “old world” feel of military barracks and offices. Cafeteria and canteens for visitors and kiosks for coffee and tea are located around campus. Just like Dr. G’s courtesy and service mindset, I was equally impressed by the professionalism of the uniformed paramedics, nurses and ward attendants. Their training and knowledge gained from observing a variety of patients comes through, even in the smallest interactions with patients. Thanks to funding by the Ministry of Defense, these fine men and women have access to world class medical techniques, training and equipment. With a large concentration of service personnel and retirees, the facilities and infrastructure at the Command Hospital are really stretched thin. Each department – including neurology, oncology, urology etc – is overflowing with patients. To manage the inflow and demand, the management has designated “receptions” at each building. While the token system and endless wait for an appointment to meet a specialist may feel overwhelming, there is a method in the madness. The system is designed to optimize the demand and (limited) supply. The modernization of medical practice at the command hospital is really evident in the people and equipment. Many of my fellow NRIs, and even many Indians perpetually lament over the crumbling infrastructure and broken system. There is perhaps a grain of truth to it. However, when one occasionally encounters hidden gems, like my encounter at Command Hospital, one is pleasantly surprised. Also check out my blogs on "Aging and caregiving in India - 2017-18"
Recent Q&A on EA: What's the biggest challenge in creating an agile enterprise architecture? Mohan Babu K, Enterprise Architect for a global 1000 company. By using agile techniques to realizing some of the key aspects of EA. By taking a consulting-focused approach to deliver on promises. It should be noted that realizing Enterprise Architecture, or realizing outcome of an enterprise strategy may not always be done in an Agile manner. What are good books for enterprise architecture? "Enterprise Architecture As Strategy" (Amazon) by Jeanne W. Ross, Peter Weill, David Robertson is perhaps the most quoted book on EA. Question: When does enterprise architecture support TOGAF? Question: What should we look for in an enterprise architect? EA focused on a BIDAT specific focus - Again, depending on your requirement, you may also be looking for an EA focused on Business, Information Systems, Data, Application or Technology specific background. EA in a consulting firm - Technology consulting firms hire people with EA background to help in pre-sales and in customer engagements. It has been a little over three weeks since the Indian government took the dramatic step of demonetizing large denomination currency notes – of Rupees 500 and 1000. A lot has been written and debated about the short and long term impact of the Government’s bold move on the lives of a billion Indians. As an Enterprise Architect of Indian origin, I have been watching the rollout with more than casual interest. There are lessons in the ongoing Indian digitization experiment that technologists around the world can learn from. The digital payment market in India is at a nascent stage, but nevertheless has a number of domestic and global players, each with millions of users. The market is led by players like PayTM, MobiKwik , Ola Money, Citrus Pay, PayUMoney, ICICI Pockets, Citi Masterpass among others. These Digital payment providers have begun to prepare for wider adoption for the wave following digitization. The enthusiasm among the bankers and digital payment providers and startups is contagious indeed. It is very likely that some of the new, innovative payment modes will lead to evolution in day-to-day financial transactions. The opportunity hinges on leveraging ubiquitous mobile phones in a creative, intuitive and secure manner. I wonder if it’s too early proclaim advent of the cashless-society in India? Most of the folks in these sectors are habits of creature, and love nothing more than counting cold-hard cash after a day’s labor. Weaning them away from the culture of cash to a world where their earnings remain in virtual world in digital wallets they don’t comprehend may take some creative persuading and goading. Another challenge that needs to be addressed is the issue of merchant-fees charged by Digital payment providers. Businesses and merchants, especially those serving customers at the bottom of the pyramid are going to be loath to shell out a fee, however small. This is not a trivial problem. Even credit card networks with American Express, Visa and Mastercard in mature markets like the US and Europe continue to struggle in courting small businesses that are hesitant to pay the 2-3% transaction fee for Point of Sale transactions. Even there, cash is sometimes the king. Bottomline: We are talking about a cultural transformation that needs to accompany technology adoption. Those of us who have spent years in technology transformations realize that success of technology innovations hinges on user buy-in at the last mile.